Why I’m sticking with Rainmaker after that other product launched…. Have you ever seen a house get built? 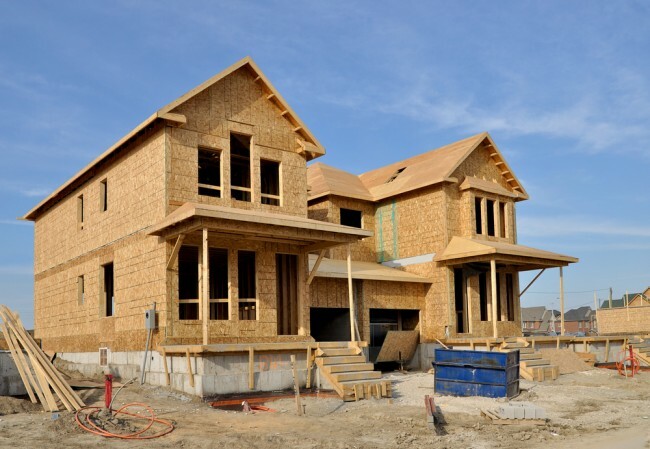 If you’ve never been part of building a house, or watched a house or building get built, then the metaphor or illustration I am about to use won’t make much sense. But if you’ve ever seen it or been part of a home-building project, you know that it moves in phases. The first phase is really boring. There’s no house at all. It’s dirt. And even the dirt is bored. Because it needs to get dug up, cleaned up, and made sure that it can be turned into the proper foundation to support the building you’ll put on it. After that you’ll see concrete poured. The excitement bursts as you think it’s all running full speed ahead. Until you realize that’s actually the foundation and you’ll have to wait a bit more. Only then do you see the framing work and a house takes shape. Unfortunately, and you’ll have to take my word for it, when you walk thru the house when it’s just framed, it feels much smaller than when you walked thru the model home. You start to worry that it won’t meet all your needs – that all your stuff won’t find a place there. And then comes the series of iterations – from plumbing to wiring to ventilation. Series of efforts that don’t make your house look anything more like the house you bought than the initial framing. But suddenly the drywall goes up and the rooms feel bigger and you get excited. The last bits move pretty quickly and suddenly the house is now ready to transition to a home. I have been using Rainmaker since it launched. So I’ve watched it take shape. I’ve experienced the little issues and wished for certain features. I’ve worried that it might not fit all my stuff and my needs. In short, it feels like its product development is very similar to how a house gets built (at least my experiences of it). Did you notice the most recent product launch? If you got twenty emails from folks pitching you SamCart in the last week or two, you know what I’m talking about. But if you didn’t get those, maybe a few weeks ago you got the emails from ZippyCourses as they launched a new hosted solution. Or was it emails and videos from the NewKajabi? Or the webinars from ConvertKit? There is no question that there are a lot of tools out there. Tons of new products launching all the time. And each one offers you something amazing! These are the hot spaces out there right now. And all those products offer you the help you need. It’s not just their marketing (which is good). It’s the reality. They can all help you. Every one of them. In fact, my prediction over the next five years is that they’ll all slowly add any of the features that the others have. Because no matter where they started from, they’re all in it to help you and me. And we want it all, don’t we? Every time one of those products launches something…. Every time one of those products launches something I get the same questions. What do you think this means for Rainmaker? Do you still think Rainmaker is a good call? Would you still recommend Rainmaker for someone like me? Does Rainmaker have that feature? Won’t I need it? Should I buy that product too? Will Rainmaker integrate with it? But my replies are never about Rainmaker. They’re always a different set of questions back to the person that I’m talking to. How many products have you purchased that you didn’t put to use? How are you using the products you’ve already purchased? What is working with your current business model? How can you improve it? Where are you focused that is distracting you from the work you really need to do? In one conversation I had this past week about the latest SamCart launch, I heard tons about one-click upsells. I’ve been talking about one-time-offers (OTOs) and how to do them with the technology that’s out there for a couple years. It’s a staple in internet marketing circles but not one that a lot of people in the WordPress community have used. So the concept isn’t new to me. But my question to the person I was talking to – who was seriously jonesing about buying the new SamCart – was whether they had all their upsell offers already? My follow up was how they were trying and testing the viability of that model for their existing audience. Neither question was answered. Because the reality was that the shiny new feature sounded great but the hard work of getting everything ready to use it wasn’t in place. The reality of the situation is that no pop-up, no one-click offer, no landing page template, no optin box, no autoresponder, and no tagging feature is going to turn a lame product into a great one. And if you’re making a killing with your great product already, you don’t ever feel as desperate to buy the next shiny tool. In several conversations over the last month, I’ve reiterated my logic for why I’m sticking with Rainmaker. Did you know that I can do all of these things already with Rainmaker? It’s not perfect. The house isn’t completely built yet. There’s more to come. But my site is working hard for me, and doing what I want and need it to do (financially), and I can honestly say I’m not using all of Rainmaker like I can. There’s still more to do to leverage everything that’s there. Sure, some of their features are wasted on me. I don’t plan to publish on Medium. But I know others who might need that to get their content discovered. I don’t host a podcast…yet. But I know where they’re headed, and I know what it can do already. And I get it all in one product. Even before I start using any integrations. I wanted to end on one last note. Most of the products listed at the top are products I’ve purchased. Pretty much all of them. I have an account with ZippyCourses, Center, ClickFunnels, NewKajabi, SamCart, and ConvertKit. Of all them, I regularly use ConvertKit. I purchased the rest so I can understand them and help others who need the help. So no matter how awesome the marketing is, just know that they’ll help improve you but they won’t transform you. The hard work – from ideation to product development to product launch – is still all on you. And that’s true with Rainmaker too. It’s not magic. But the foundation is there. The framing is there. It’s taking shape and I continue to be excited to turn it into my home.